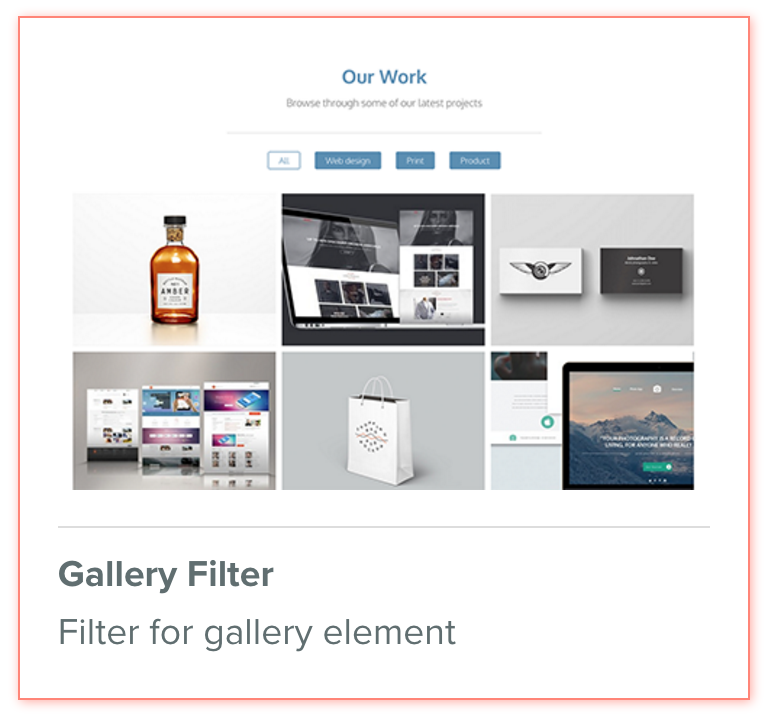 Create beautiful Portfolio Filter Galleries with Gallery Filter and Weebly's Gallery Element. Add up to 10 filter titles to which images in your gallery can belong to, a smooth transition between filter the correct images belonging to the correct category. You are able to link the image to any external or page on your website.